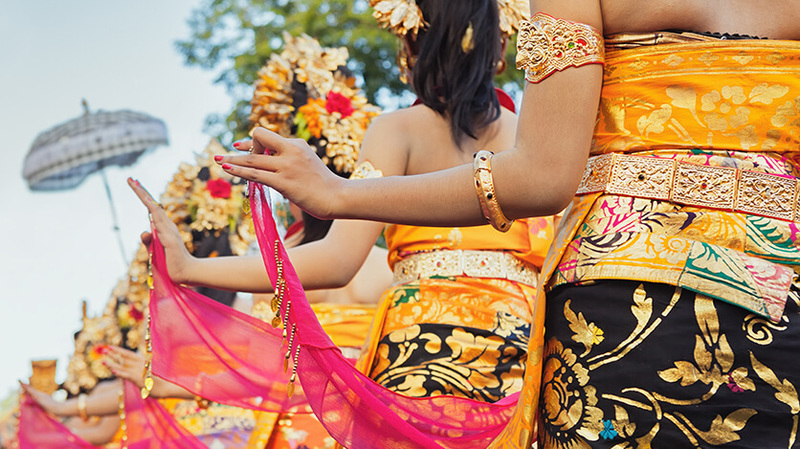 Bali has many events and spiritual celebrations throughout the year to enjoy. From pool parties and BBQ’s on the beach to religious festivals and concerts, there are plenty of different events to attend. The annual Bali Spirit Festival takes place in March, it has now been going for six years and focuses on wellbeing and yoga. In April there’s the 10th Full Moon, head to Besakih temple where you can witness a special ceremony. Ubud Food Festival held in June is also worth attending, especially if you enjoy the local cuisines. The Annual Bali Arts Festival takes place in June and July, at this event you can see art exhibitions and cultural performances.